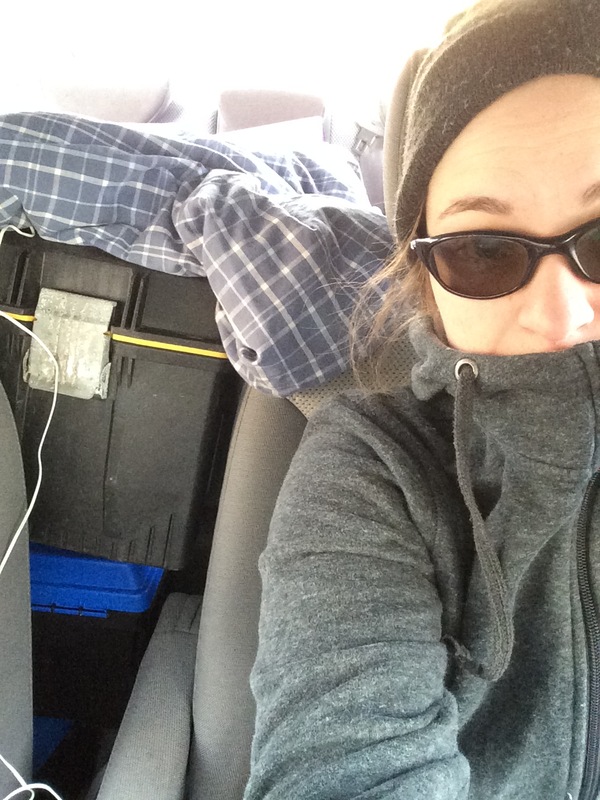 This past month has been pretty busy for us here at Dispatches from the Field! 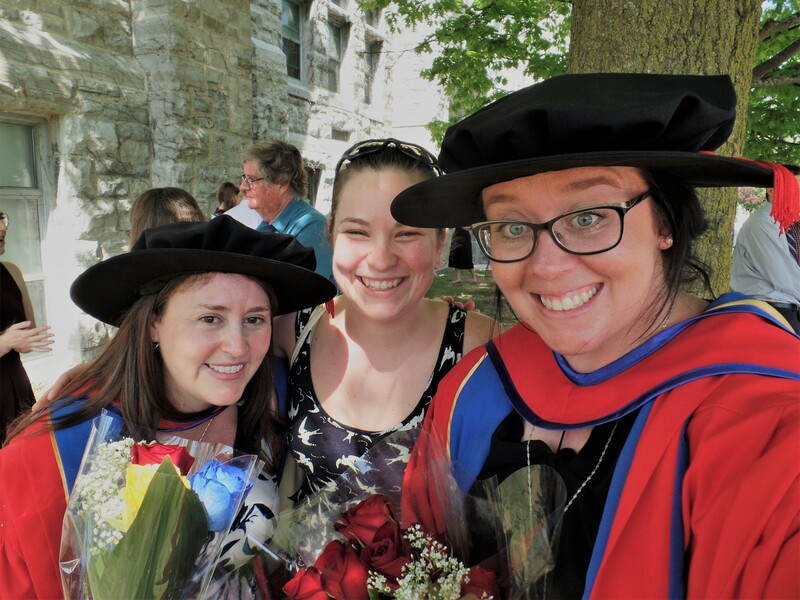 Two of us (Amanda and Catherine) received our Ph.D. diplomas and started new jobs while the other (Sarah) started a Ph.D.
We promise to be back at it in June with weekly posts about fieldwork stories from around the world. We are always looking for new guest posts so send us an email (fieldworkblog at gmail.com) or Tweet us (@fieldworkblog) – we would love to hear from you! 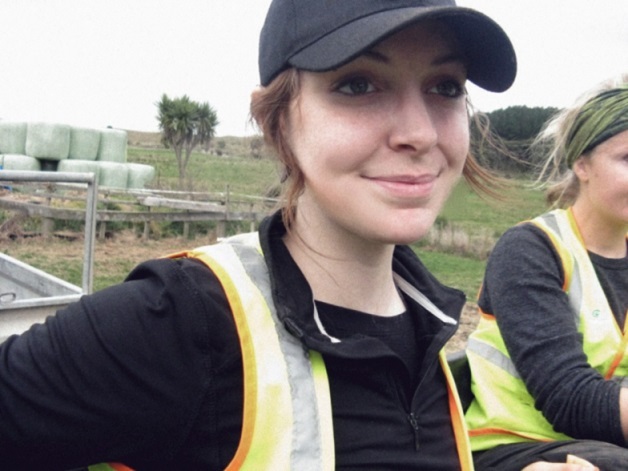 Thanks for reading and sharing your fieldwork stories! This week, Dispatches from the Field is happy to welcome Chloé Montreuil-Spencer to share how “you’ve got to be kidding me” became the slogan of the summer! For more about Chloé, check out the end of the post. When you tell people that you’re doing biological fieldwork, the first reaction you often get is: “Spending all that time outdoors – you’re so lucky!”. Indeed, we are very fortunate. But while your friends imagine you as a David Attenborough-in-training, you might be stuck in a downpour somewhere in a forest, desperate to find that nest you’ve been searching endlessly for, or picking up a video camera stand that toppled over in the heavy winds and recorded 3 hours of grass instead of your experiment. You want to experience nature in the raw? Don’t worry, that’s exactly what you’ll get: in all of its beauty AND temper tantrums. My MSc fieldwork provided more memorable moments than I could have ever imagined. “YOU HAVE GOT TO BE KIDDING ME,” should have been our slogan for the 2016 chickadee summer field season. Matt, Anthony, Kelsey and I formed the core chickadee research crew at the Queen’s University Biological Station from 2015 to 2017. Our projects involved capturing, banding and taking blood samples from chickadees in the winter 2016 to evaluate energetic physiology, and assessing reproductive investment and parental care in the following breeding season. Therefore, when flocks started to break up into pairs in March, we had to relocate the chickadees we had colour-banded the previous winter. Using binoculars and finely-tuned ears, we listened for chickadees, looked for colour bands, and followed breeding pairs for days, and sometimes weeks, to find their elusive nesting spots. Chickadees expend a lot of energy excavating and cleaning out nesting holes in rotten or broken trees and stumps, and they excavate multiple sites simultaneously before deciding on the best summer home! Interesting strategy… but as a result, us researchers also expend a lot of energy figuring out which cavity they are actually using. 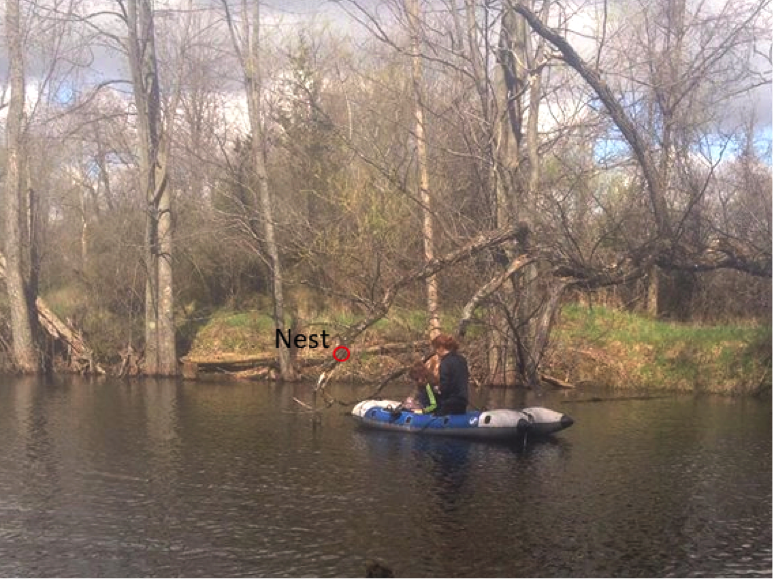 Kelsey searching for nests in one of the many swamps visited by our banded chickadees. For some pairs of chickadees, we got lucky and found the nests quickly. This was the case for the pair we called the “swamp-chickadees”. They had constructed a very comfortable nest in a tree stump located in a shallow swamp. It was beautifully excavated and lined with a mixture of fluffy moss and hair. Matt and I were very pleased with our finding, but on our next visit, when we peered inside the very dark cavity, two little beady eyes looked right back at us. Matt and I quietly looked at each other… We instantly knew this wasn’t a chickadee. As we leaned closer, a furry creature jumped out of the nest: a field mouse had hijacked the swamp-chickadees’ nest! Insulted, the birds had packed their bags and left the area. We never saw them again. In other cases, finding the nest was straightforward, but accessing it was more challenging than anticipated. One day, after following a banded pair of chickadees up a very steep hill, we found them working on the tree that eventually became their nest. Yes! Finally found it! Exhausted, we congratulated one another on our success but then paused, looking at the cavity that was well out of our reach. No one wanted to say it, but everyone knew that to reach this nest, we’d have to lug a heavy ladder up the steep and slippery hill. We tried not to think about that (not so minor) detail until later in the week, when the deed had to be done. In the end, we all gained a little arm muscle. Another day, standing at the edge of yet another swamp with our binoculars, we spotted bird activity at one of the many dead trees poking out of the murky water. We knew what that meant: Let’s get our waders! The next day, we suited up, used whatever we could find as support to avoid toppling over in the sinking swamp, and we slowly made our way towards the potential nest site. When we finally arrived at the nest, it was already active… but once again, it was too high to reach! “Really? 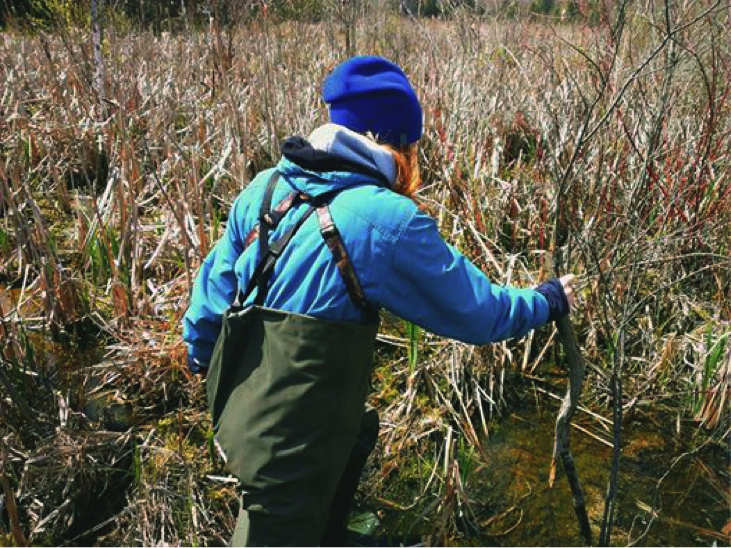 We need to drag a ladder into this swamp?” The next time we visited this nest, we brought a 3-step ladder. We positioned it near the base of the tree, and Kelsey carefully stood up on the first step. It sunk a few centimeters. She took her second step. It sunk again. She took her last step, and reached the nest successfully, but we knew we had to work quickly! Over the course of the summer, that swamp had gobbled up a few pens, a screw driver, and one i-Button that the incubating female chickadee managed to pick out of her nest and chuck into the swamp herself! This chickadee pair decided to nest in a broken and very delicate branch hovering above a large pond. The only way to access it: balancing on an inflatable raft. On yet another occasion, we tracked a banded chickadee pair carrying nesting material through the forest and to the edge of a cliff. We assumed they wouldn’t leave the mainland. Chickadees on an island? Nah… Oh…Mouths gaping, we stood there watching as our chickadees flitted their way across the open water. Since carrying a large boat through a dense forest is… well, near impossible, we found an alternative solution. We came back the very next day with an inflatable donut pool float, determined to find their nest. Laughing, Kelsey and I sat back-to-back in the donut float, and slowly paddled our way over to the island using oars made for a much larger water craft. I’m fairly certain we made an absolutely ridiculous and hilarious sight. Unfortunately, we never found the island nest. On top of the challenges inherent in searching for nests, we also faced many unexpected bumps in the road so common to field work. The most unexpected encounters were horses. Although friendly, these big bodied animals followed us to our nest sites, stomped around the research area, and played with our equipment. 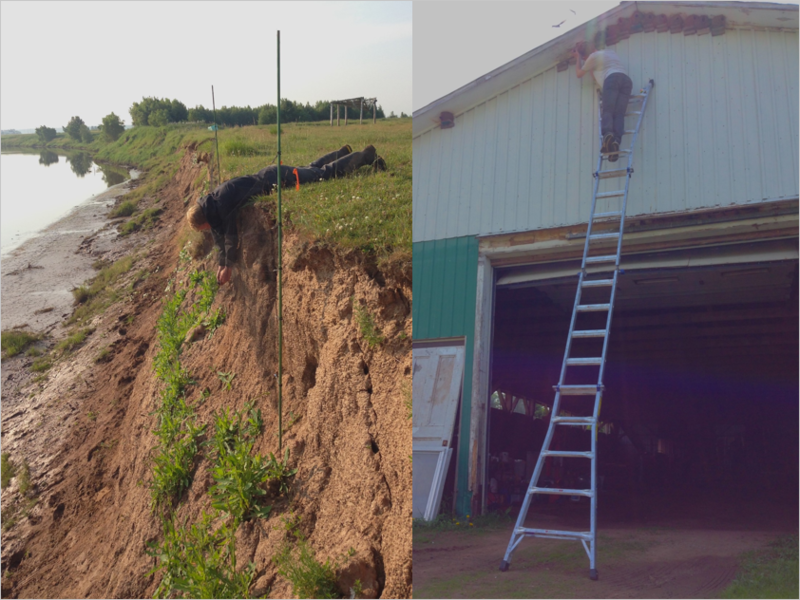 Throughout the season, we often had to come up with innovative and creative solutions to get the job done. Then, after all our efforts in finding the nests, snakes and mammals ate over 50% of them! It was a real-life game of snakes and ladders, and we were often brought back to square one. 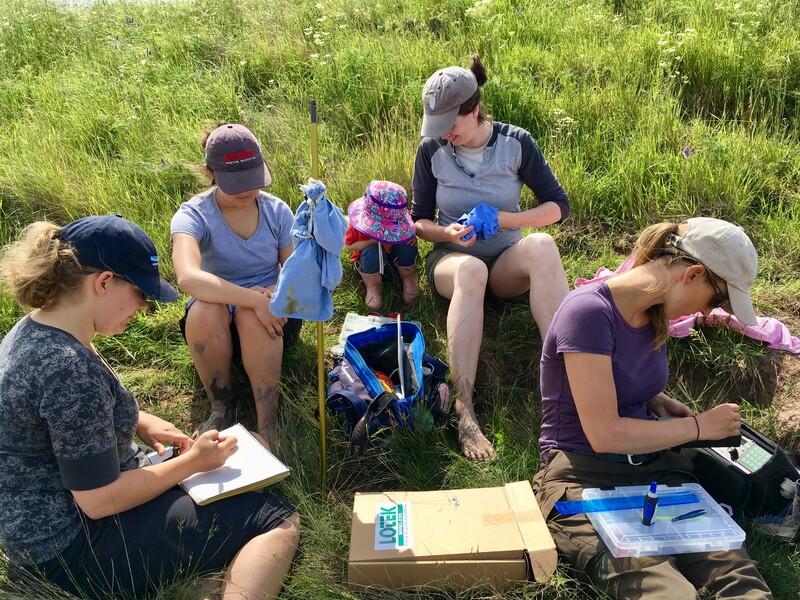 While field biologists ARE very fortunate to be spending their time working outdoors, there’s no denying that fieldwork can be strenuous, frustrating, exciting and rewarding all at the same time. Managing all those emotions can be exhausting. Because we are under time and weather constraints, we often forget to put aside a little time to “take a step back and remember the day-by-day accomplishments” – a very important lesson I learned from my MSc advisor. As field biologists, this is a lesson we should all put into practice to avoid becoming overwhelmed during physically and emotionally demanding fieldwork and to remember that we’re all here because we really do love what we do, in all of nature’s beauty AND temper tantrums. So cheers to all the researchers doing fieldwork this summer. Have fun, don’t give up when it gets challenging, and do some great science – but most of all, remember to celebrate the little victories! 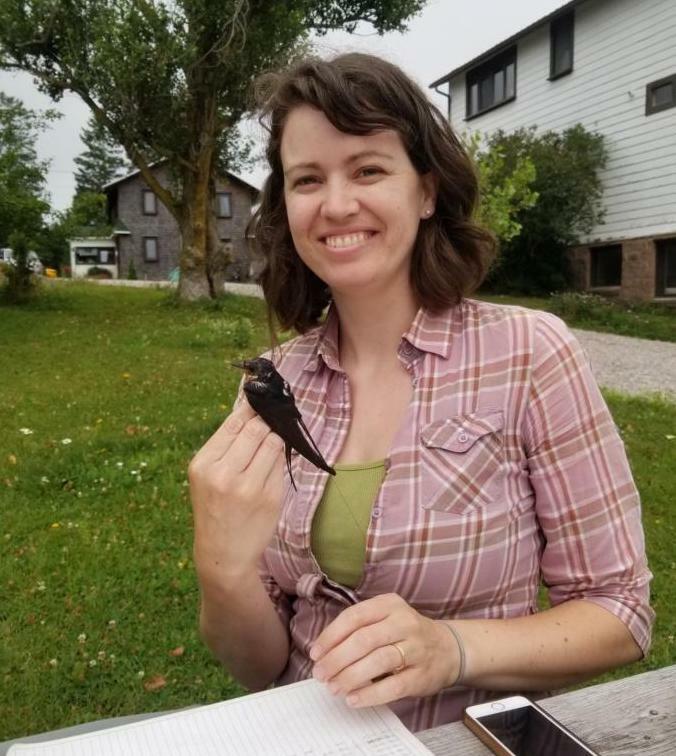 Chloé Montreuil-Spencer graduated from Queen’s University in 2017 with an MSc in Biology after working in Dr. Fran Bonier’s lab to evaluate the links between winter energetic physiology and subsequent reproductive investment in wild black-capped chickadees at QUBS. 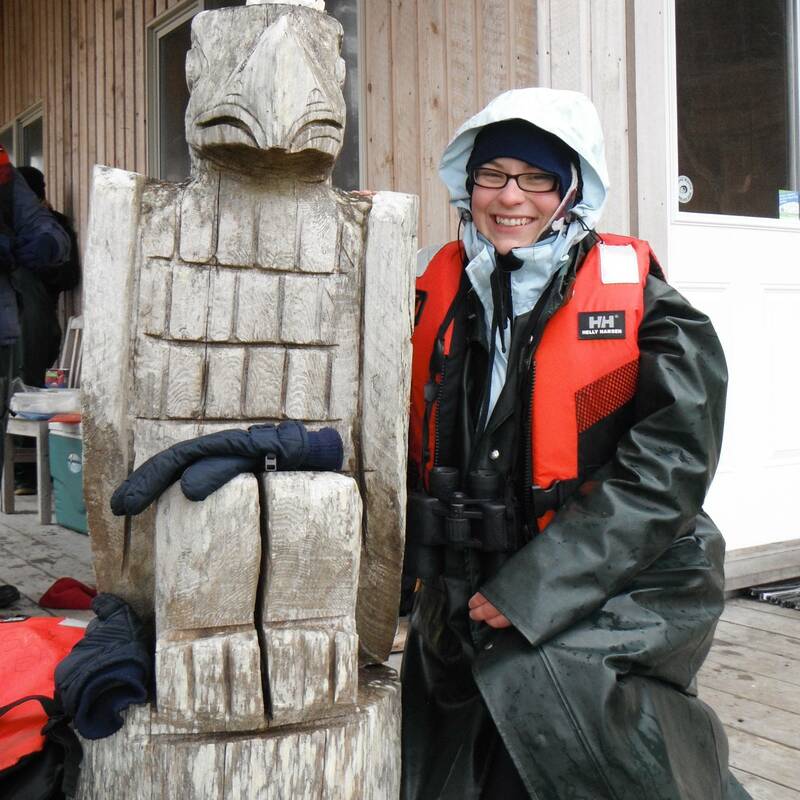 She previously obtained her BSc in Biology at the University of Ottawa, where she completed an honour’s thesis in Dr. Julie Morand-Ferron’s lab studying personality in wild groups of chickadees in Gatineau Park. After her Master’s, she was hired as a field technician at CNRS in the Pyrenees Mountains (France) to continue bird work!